As the Transaction Coordinator, Log into your account. Once logged in, click on New to start a New Transaction. In the Transaction Details window, enter a name for the Transaction. The Transaction name can be anything that you wish to name it (think of the Transaction name as a file name). 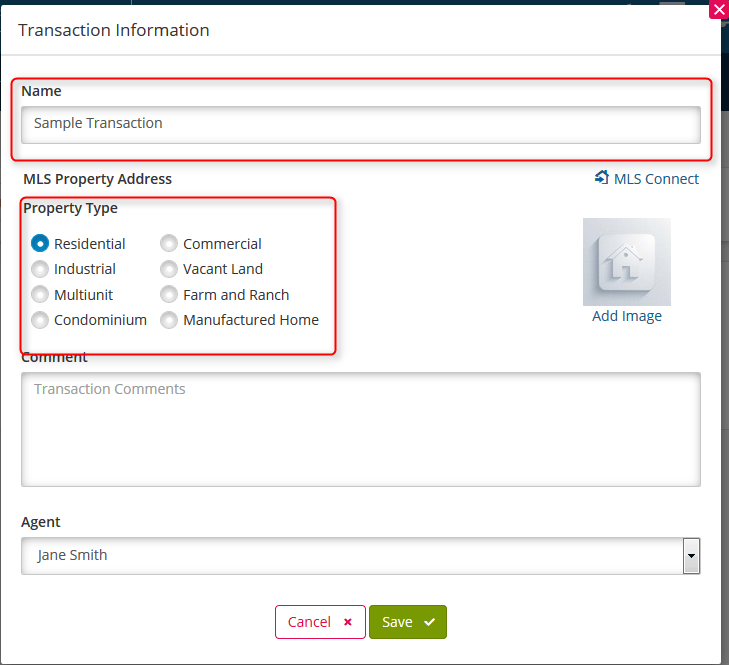 Select a Property Type. 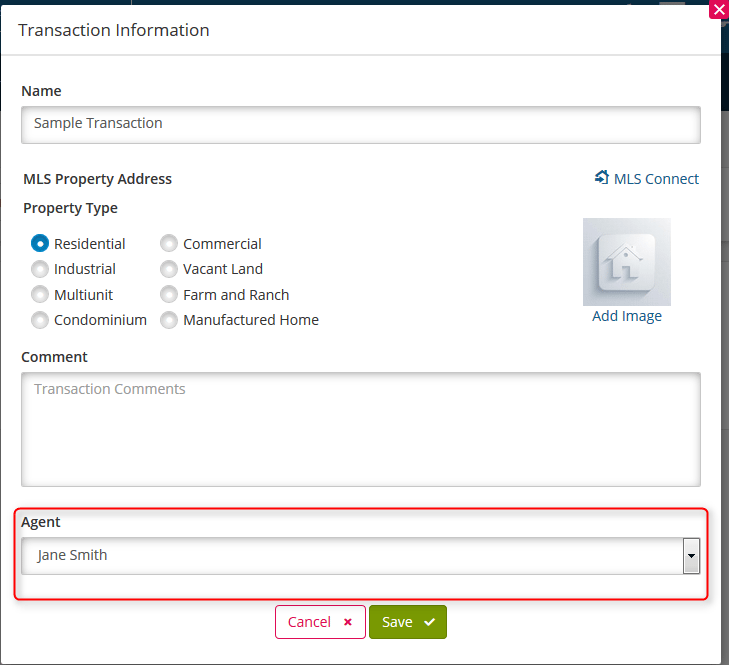 Select the Agent that you would like to create the Transaction for by choosing the dropdown menu. 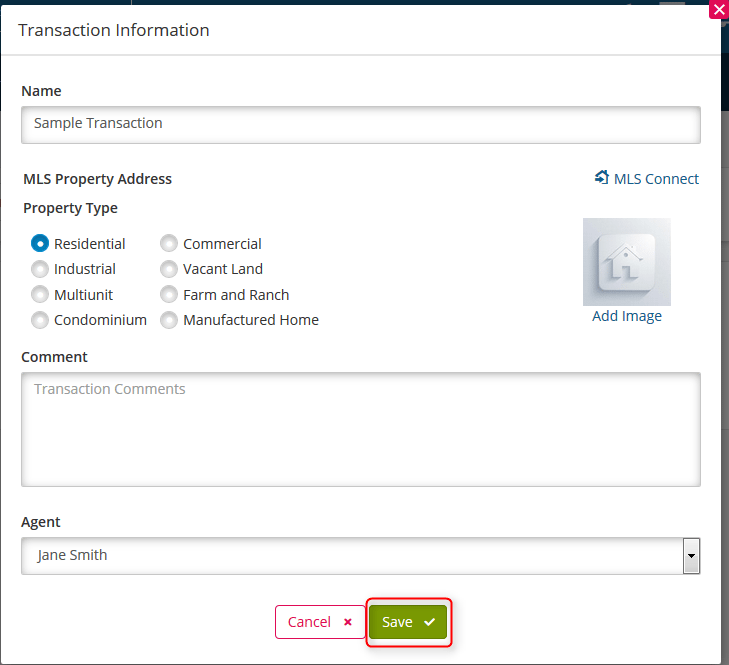 You can also optionally add a photo of the property by clicking on the Add Photo link. For information on adding a property photo to a Transaction, please Click Here. Click on the Save button to move on. After creating the Transaction for your Agent, it will appear on your account and the Agents account.